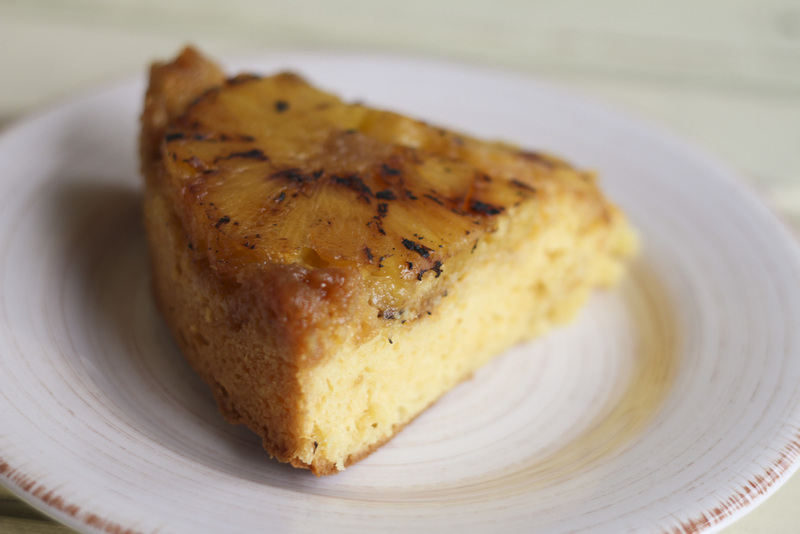 Our Momma has had a craving for Pineapple upside down cake! So when some of the fam came to dinner a few weeks ago, she went about business in my kitchen making one! It turned out superb and so beyond easy to make!!!! 1. Preheat your oven to 350 degrees and coat a 9-10 inch cake pan with non stick cooking spray. 2. Turn your grill on medium heat and grill 5-6 pineapple rings for a few minutes per side to get those nice grill marks! You can use fresh or canned pineapple! The grilling is optional! 3. Take a boxed yellow cake mix and follow the directions on the back, except lowering the oil to 2 tablespoons and adding a 3.3 oz box of white chocolate pudding. 4. 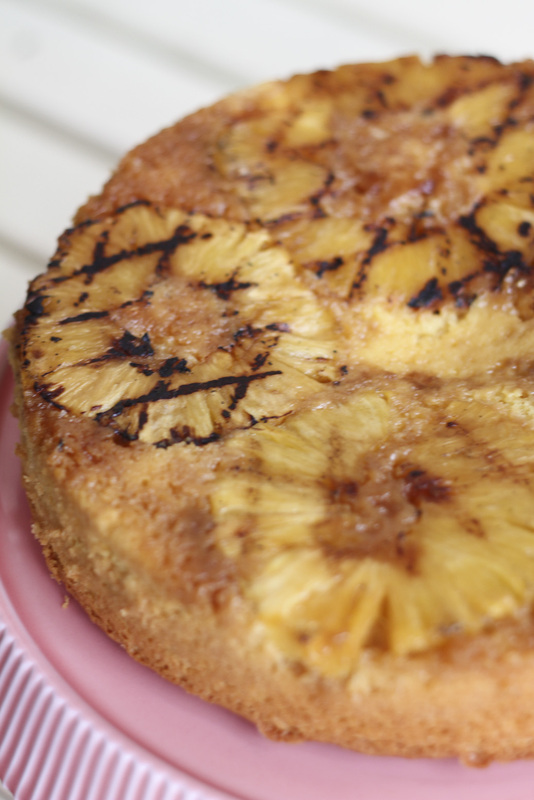 Place your grilled pineapple rings around the bottom of your prepared cake pan and sprinkle a generous amount of brown sugar in and around the pineapple rings! 5. Pour the cake batter in the pan and into the oven for 30-40 minutes until the center of the cake is set! 6. Remove from oven and cool for 15 minutes. Then carefully turn out on a cake plate or cake stand, slice and enjoy! I don't know if grilling the pineapple first is customary, but if not, it should be! Yum!